The world’s biggest badminton league saw its auction take place with some of the biggest names in the badminton world going under the hammer. The much-awaited Premier Badminton League Auctions held in Delhi saw teams go all out, splashing enormous amounts to make their sides as formidable as possible ahead of the fourth edition. Saina Nehwal, PV Sindhu, Kidambi Srikanth and HS Prannoy were the biggest earners on the day with each being sold for a cool Rs.80 lakh. With all players, a part of the auction pool and team’s devoid of the right to match card, the Premier Badminton League Auctions were more heated than ever. In a bid to get their team combination right, including finding the right icon player to represent their unit, franchisees, each armed with a purse of Rs.2.6 crore, spared no expense in the auction for the 2018-19 season. According to the rules of the auction, the maximum amount that could be spent on a player was Rs.80 lakhs and three of the world’s top three shuttlers managed to bag home the amount for themselves. It was a big payday for PV Sindhu who joined defending champions Hyderabad Hunters for Rs 80 lakh. Sindhu who was playing for the Chennai Smashers for the last two seasons will be plying her trade for her home outfit this time out. Saina Nehwal was the second female player after Sindhu to be sold for 80 lakh. After going unsold in the first round she was bought by North Eastern Warriors. Delighted with her association with North Eastern Warriors, Saina wrote on Twitter, “Looking forward to playing @pblindialive 2018 for the @NEShuttlers team,” Saina captioned a video on her official Twitter account. The other top players who managed to touch the Rs 80 lakh mark were Kidambi Srikanth who was bought by Bengaluru Raptors and HS Prannoy, bought by Delhi Dashers. Srikanth also tweeted saying he was looking forward to the fourth season of the tournament. “Thank you !! Looking forward to the season kicking off … can’t wait! !” Srikanth wrote while replying to a welcome tweet by Bengaluru Blasters. Icon Carolina Marin was in high demand with four teams raising the purse to the maximum amount of 80 lakhs. As per the auction rules if more than one team bid the maximum amount possible for a player than a draw of lots would determine the player’s team. The Spaniard was allotted to new franchisee Pune who was clearly gunning for the player after the franchise’s name was drawn from the lot. Pune7aces is the newest team to join the PBL, taking the total number of teams to 9 now. Among the non-Icon Indians, Rankireddy was the top draw with Ahmedabad Smash Masters engaging in a battle with Hyderabad Hunters to sign the player. They ended up outbidding Hunters to secure the youngster for Rs 52 lakh, a massive jump from his base price of Rs 15 lakh. Delhi Dashers were involved in a tense bidding war with two other teams for the signature of Indonesia’s Tommy Sugiarto. They eventually ended up signing him to make him the highest paid non-icon, splurging out a neat Rs.70 lakhs for the world No.11, paying Rs.40 lakh above his base amount. 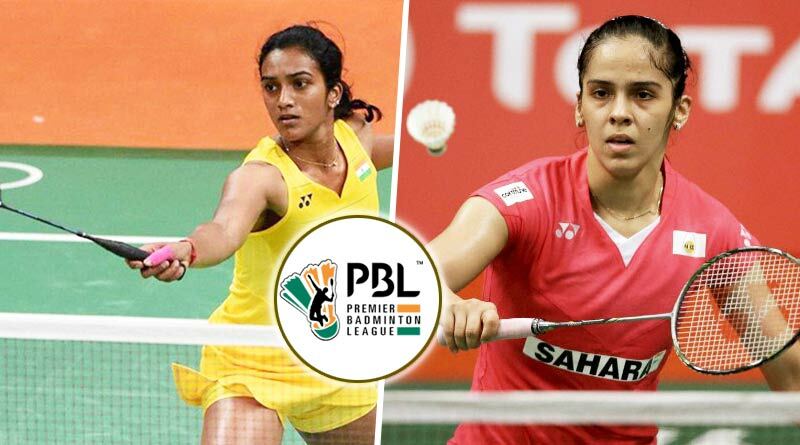 In total, 145 players from 23 countries were involved in the auction for PBL 2018-19 which will be played from December 22 to January 13. Awadh Warriors and Mumbai Rockets were the only two sides who exhausted their entire budget. For more details on Premier Badminton League Auctions and related updates, like and subscribe to tentaran.com.